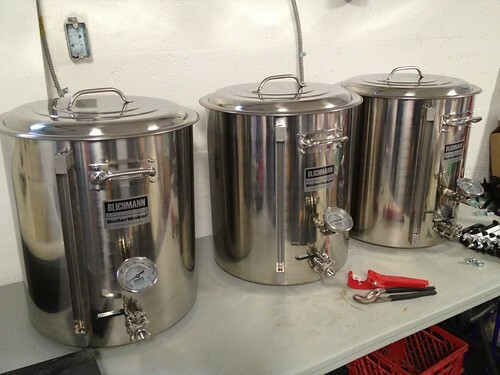 Three new Blichmann BoilerMakers arrived today: the hot liquor tank, the mash tun and the boil kettle. The control panel delivery is still 8-10 weeks away. Between now and then I need to modify these with the necessary plumbing and get a table, sink and a vent hood installed.